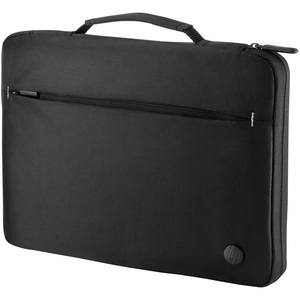 Take your 13.3" diagonal notebook to go with the super simple, single-zip, padded HP 13.3 Business Sleeve that keeps your notebook readily available when you need it and adds an extra layer of protection. Store your notebook in the padded, softly-lined sleeve to help protect it from scratches and bumps. Carry the slim design under your arm or with the retractable handle, and drop in your carry case at the end of the day. Get quick access to your other essentials with an outside pocket.